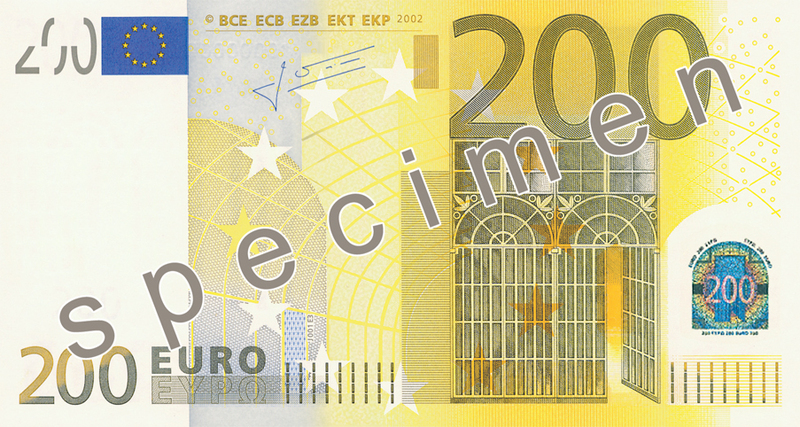 Legally, both the ECB and the central banks of the euro area countries have the right to issue euro banknotes. 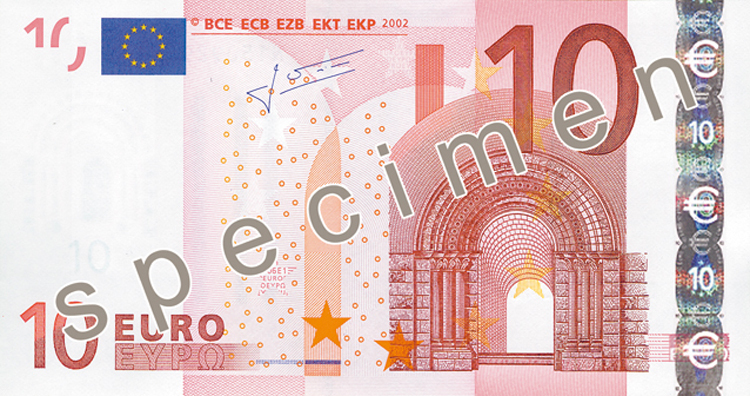 In practice, only the national central banks physically issue and withdraw euro banknotes. 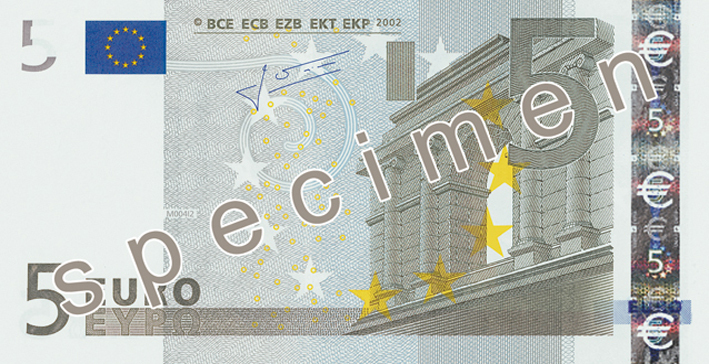 The ECB does not have a cash office and is not involved in any cash operations. 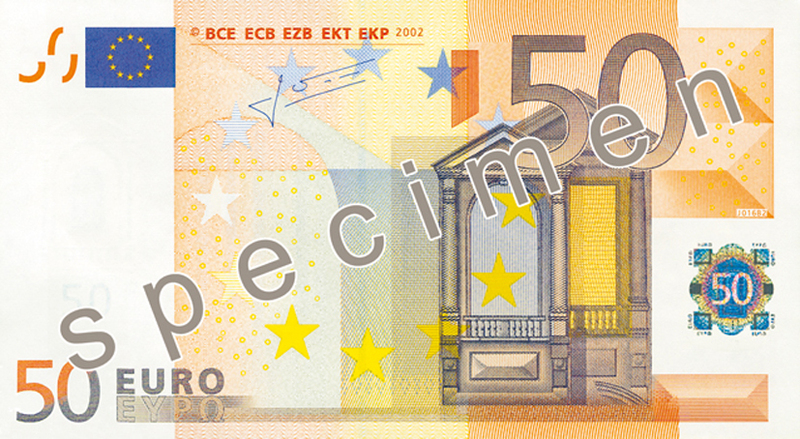 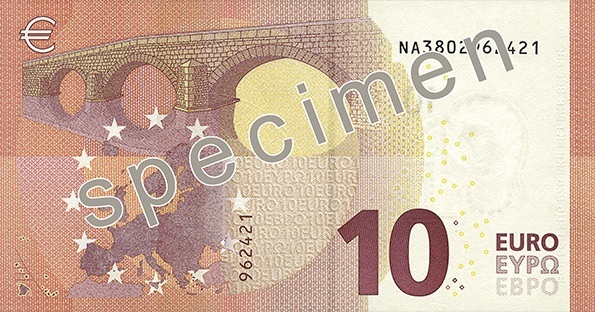 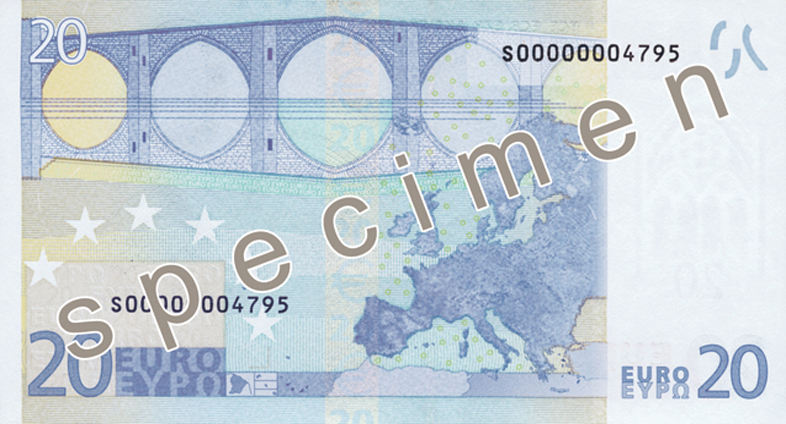 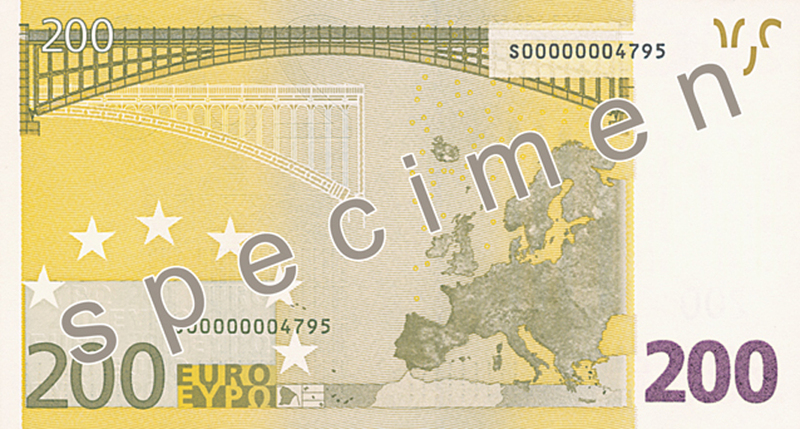 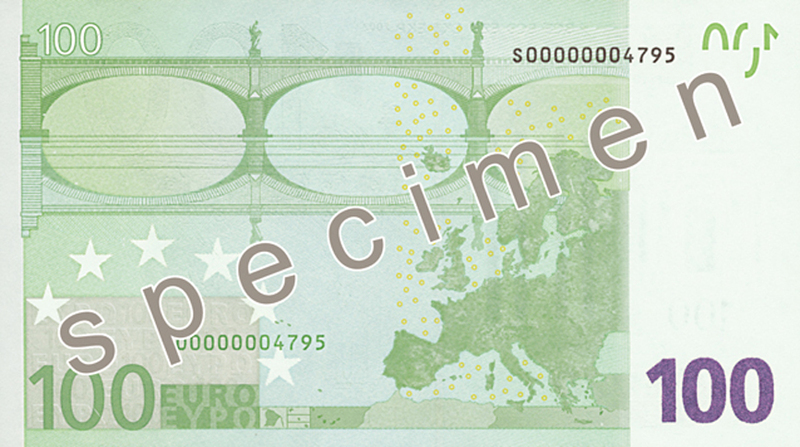 The euro banknote series consists of seven different denominations: €5, €10, €20, €50, €100, €200 and €500. 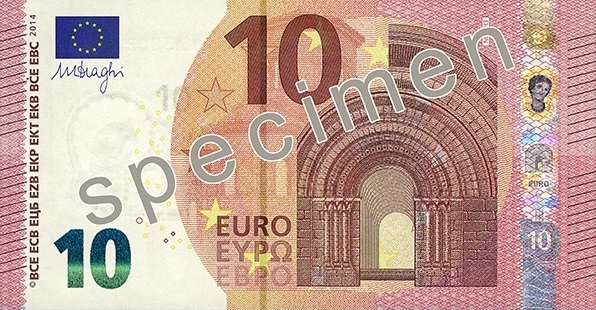 All the banknotes are legal tender throughout the euro area. 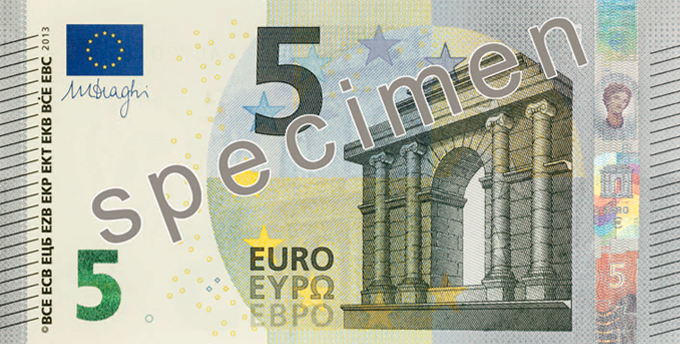 On the front, the banknotes display windows and gateways. 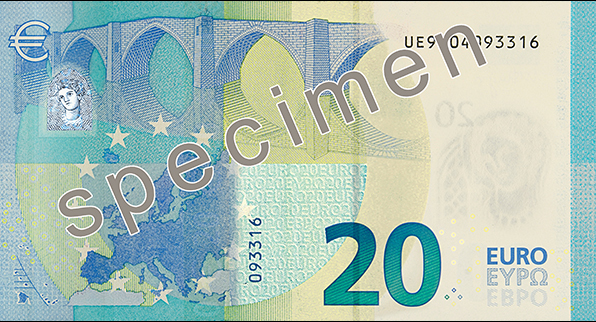 They symbolise the European spirit of openness and cooperation. 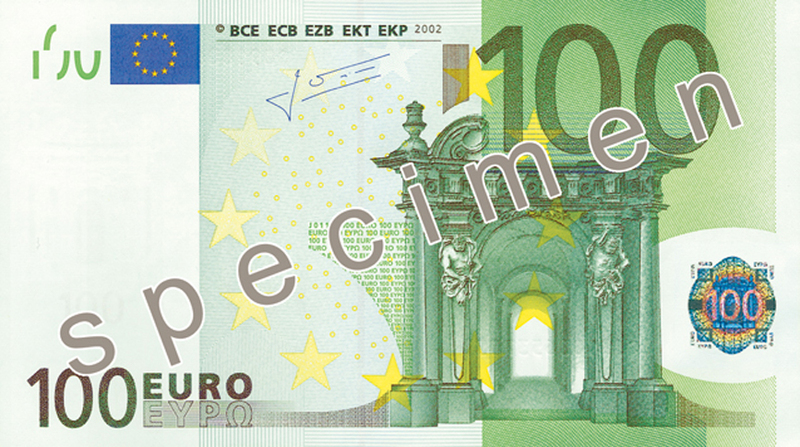 The 12 stars of the European Union represent the dynamism and harmony of contemporary Europe. 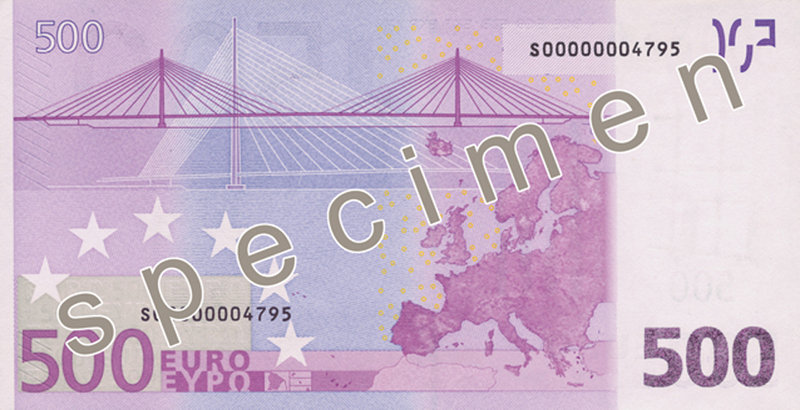 The bridges on the back symbolise communication between the people of Europe and the rest of the world. 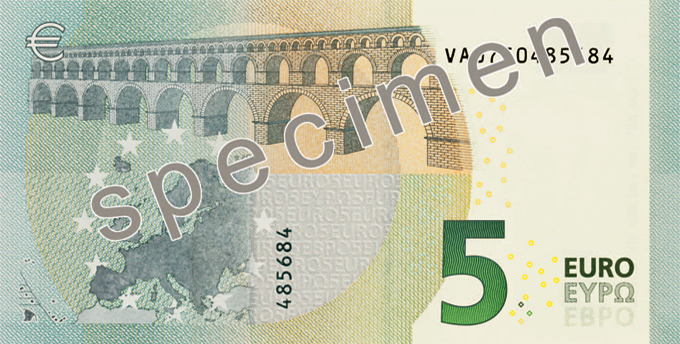 The architectural style of the particular era was used in the design, with no reference to specific buildings. 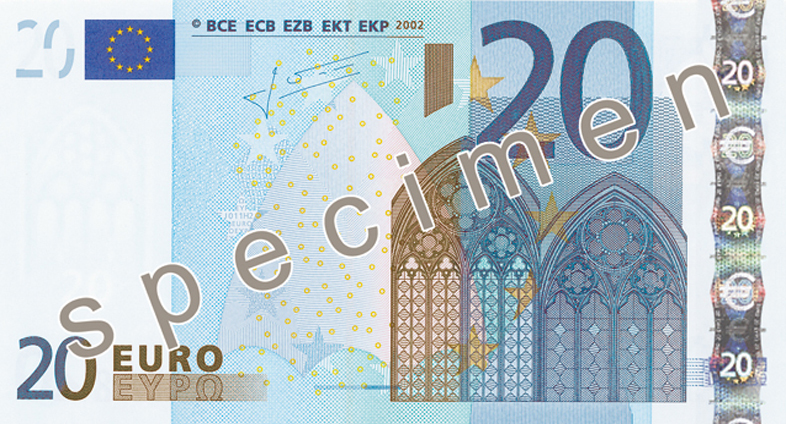 Euro banknotes were designed by Robert Kalina, banknote designer with the central bank of Austria. 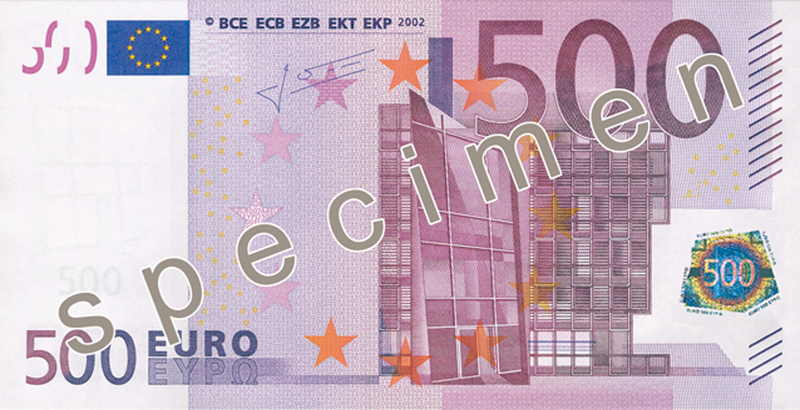 Euro banknotes bear the signature of Willem F. Duisenberg, the first President of the ECB, Jean-Claude Trichet, the second President of the ECB or Mario Draghi, the third President of the ECB. 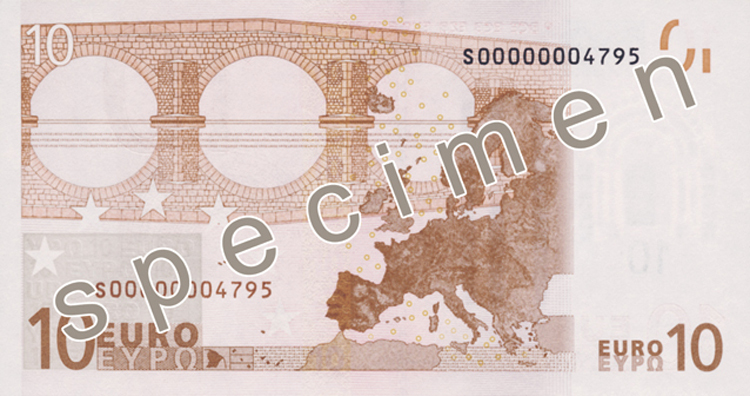 All banknotes are equally valid. 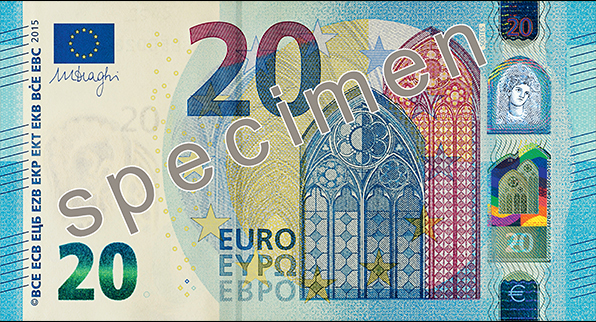 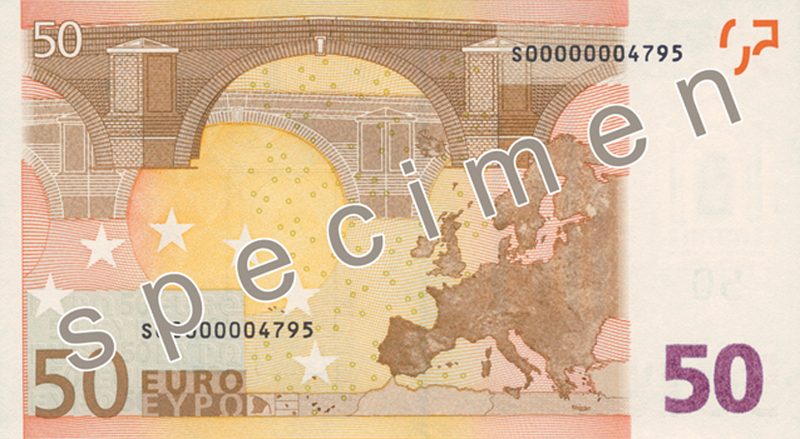 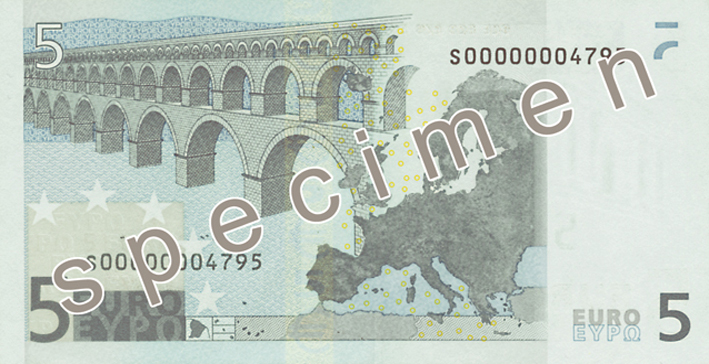 Read more about the security features of the euro banknotes.